The Confederate battle flag was raised outside the South Carolina Statehouse again Monday, but the stars and bars rose on a pole that was planted in a temporary plastic stand — not in the earth. The ceremony was timed to mark the second anniversary of the state’s decision to remove a Civil War banner that for many white southerners was an emblem of pride — and a symbol of racism to just about everybody else reports NBC News. But the flag-raising was also a protest against recent moves by lawmakers in Southern cities like New Orleans and elsewhere to remove Confederate monuments from the public areas where they have stood for decades. The S.C. Secessionist Party brought back the Civil War banner on Monday, the second anniversary of when it was banished from the Statehouse grounds after the Charleston church massacre. 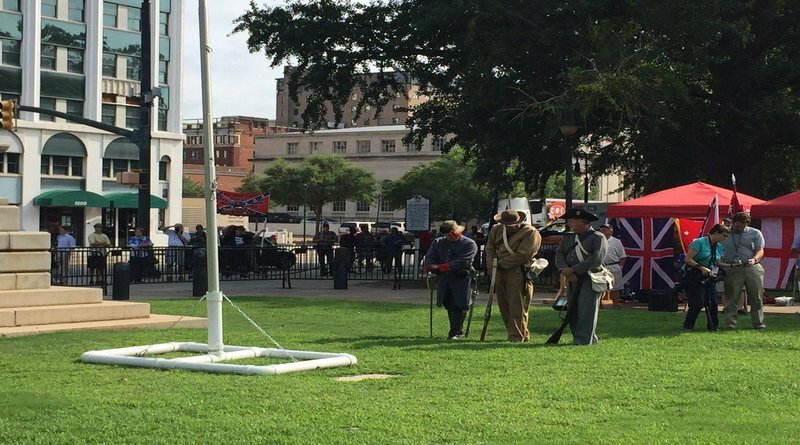 A Confederate soldier reenactor raised the flag at 10 a.m. on a portable pole placed next to the Confederate Soldier Monument along Gervais Street, which is the same spot where the banner flew for 15 years before coming down in 2015. The Confederate flag had flown over the Statehouse dome since the early 1960s before being moved next to the monument as part of a compromise that added an African-American monument on the grounds. The protester’s shouts were drowned out by yells and cheers from supporters, some of whom showed up in Civil War-era clothing, as the battle flag reached the top of the portable pole. 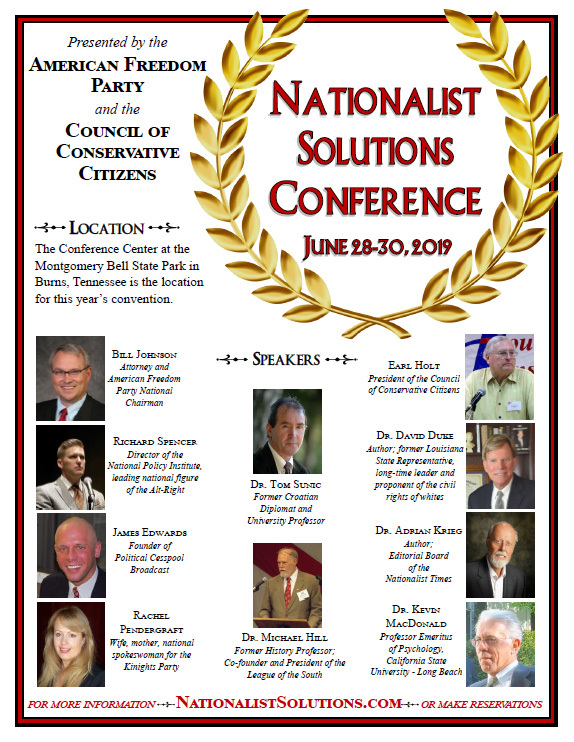 The S.C. Secessionist Party then recited a pledge to the Confederate flag before the group’s founder James Bessenger told the crowd that the event was meant to “piss people off to get things done.” The party has stepped up its efforts to get noticed, including a squabble over painting an abandoned boat in Folly Beach last month that is a local landmark. Communism through the back door. R.I.P. United States. Back in 1900, 40% of the Federal budget was spent on pensions for Union soldiers and their widows. The revenue was raised from tariffs which effected everyone. Confederate veterans received nothing. It wasn’t bad enough that their infrastructure was destroyed and political rights abolished. So, they put up a few memorials and hateful anti-whites want them taken down. Video: Dozen Arrested as Cops, Antifa Clash Over Nazi Protest in Newnan, GA.